Acclaimed singer-songwriter Susan Toney will perform tonight at the Save The Music America (STMA) benefit to be held at Douglas Corner Café. The benefit begins at 6 p.m. Admission is free, with donations to STMA greatly appreciated. The mission of STMA is to change the perception and commonplace practice of downloading and sharing music illegally. A Nashville-based 501(c)(3) charity organization, STMA was founded as a national initiative to protect copyrighted music- work product and to educate the public about responsible and legal music downloading. Joining Ms. Toney for tonight’s benefit performance will be singer-songwriters Jimmy Charles, Mark Dreyer, AJ Engstrom, Dave Gibson, Lucas Hoge, Shawn Mayer, Nolan Neal, Bernie Nelson, and Jeff Williams. 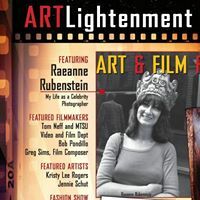 “Artlightenment”—the annual multi-media art show and film festival that showcases more than 50 visual artists, painters, sculptors, and filmmakers—will run this Thursday through Saturday at The Celebrity Centre (Old Fall School Building), 1130 8th Ave. South in Nashville, beginning at 6:30 p.m. Thursday. Created by painter, sculptor, and film producer Robyn Morshead in 2009, this three-day event also features workshops, live music, and a fashion show, making it a vital force in Nashville’s creative community. This year’s festival will highlight the work of landmark photographer Raeanne Rubenstein, whose work has graced the pages of publication such as People magazine and The New York Times. Rarely seen images of iconic celebrities whose lives scan four decades of American pop culture—including Andy Warhol, John and Yoko, Lou Reed, Jim Morrison, and Dustin Hoffman—will be available for viewing throughout the festival. In addition, attendees can hear Ms. Rubenstein speak on the topic “My Life as a Celebrity Photographer” on Friday, November 15 at 6:30 pm. On Saturday, November 16 from 4 – 6 p.m., Greg Simms—award-winning composer, arranger, and producer of music for film, television, and album projects—will be the featured speaker for the two-hour workshop “Film Composing 101: Making Your Movie With Music.” As the composer of the closing theme for Oprah’s first prime-time special, Legends Ball, and the CGI animated film The Lion of Judah, Mr. Simms will discuss his work and host a Q & A session with the audience. In addition, the festival will feature The MTSU Florence Project, three films produced by well-known documentary filmmaker Tom Neff and shot by student filmmakers from MTSU. The films center on the unlikely cross-cultural exchange between Florence, Italy, and Murfreesboro, Tennessee. The young MTSU filmmakers traveled to Florence to make these extraordinary films about contemporary Italian artists, their work, and methodology. 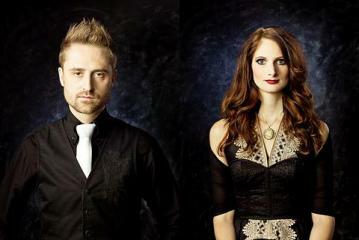 Kicking off the festivities on Thursday, November 14 at 6:30 p.m. will be Sherry Carlisle and the Impalers. The band is comprised of veteran touring and session musicians who have played with such notable acts as James Taylor, Cream, and The Jordanaires. Tickets for this groundbreaking event are $10. Ticket holders have access to all exhibits and workshops, as well as to the film festival and closing-night awards and fashion shows. The popular annual Gram Parsons tribute concert/festival—officially known this year as Gram InterNational VI Nashville: 40 Years Gone—returns to Douglas Corner Café this Friday and Saturday, November 8 and 9. The event recognizes the genre-bending musical contributions of a man who died 40 years ago this year, but who seems to have more fans with each new generation. This album is about a search and yearning as wide as womanhood and as specific as the heart of one gifted songwriter—the search for deep, sustained, and sustaining love. In eight of the most emotionally genuine, finely-crafted songs released on any singer/songwriter album this year, Shantell Ogden explores the joys, shades, and shadows of love, taking us on a confessional journey of the heart that is as rich as it is poignant and open-eyed. To be able to mine the depths and complexity of human love—and do so within the framework of songs that ring with melodicism and courageous vulnerability—is a gift rarely seen among songwriters, even the best and most famous. Yet it is a gift Shantell Ogden has come to embody in her writing. This album feels like one of those deep, rare conversations you can only have with those who know and love you best—those who tell you the truth about their journey in order to invite you to an even deeper level of love. In songs like the title track (“Better at Goodbye”), “The Lie I Tell Myself,” and “Where You’re Not,” Ms. Ogden paints the complex hues of love in a way that is inviting to the ear and stunning in its emotional honesty. What sets this album apart is not only its elegant craftsmanship (Ms. Ogden teamed with producer John Willis and some of Nashville’s finest session musicians) but the spirit of its songs. There is a real courage necessary to create an album this open, honest, and vulnerable. John Lennon once wrote, “Love is . . . needing love.” It’s in that spirit that this remarkable new album has come to be. Highly recommended. 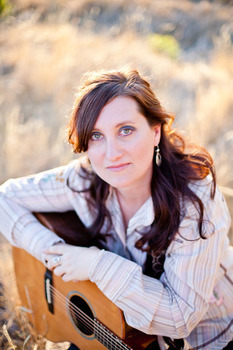 Shantell Ogden’s CD Release concert will be held at Douglas Corner Café on Saturday, November 16 at 6 p.m. The cover charge is $10, for which you’ll receive an advance copy of Better at Goodbye. The event will benefit local non-profit The Next Door and help women in crisis. This Friday evening Natalie Noone & the Maybes will be featured performers at Nashville’s annual Gram Parsons tribute concert/ festival (Gram InterNational VI Nashville: 40 Years Gone), scheduled to kick off at 6 p.m. at Douglas Corner. UNDERGROUND NASHVILLE: As an artist and a person, what draws you to Americana music? UN: What do you MOST want people to understand about you and your music? NN: I want my audience to understand or relate to the fact that I just don’t understand. It is in my complete confusion that I write songs and try to make sense of great mysteries like romance and finance. UN: In what specific ways has your dad helped you become the artist you are today? What advice did he offer you? We’re living in an age in which Gram Parsons’ vision of “Cosmic American Music”—what one writer described as “the American musical gumbo”—has been elevated to the highest tiers of musical consciousness and acceptance. In this highly creative landscape, artists are unleashing fascinating musical hybrids and synergisms—taking one form of music, marrying it to another, and creating something unprecedented. One of the more interesting hybrids—not originated by Cotton Wine, but richly explored in their eponymous debut album—is that formed by the integration of mountain (Appalachian) music with a pop melodic sense. In songs like “Murder Song” and “Corn in a Cotton Field” (a wonderful affirmation of the beauty and worth of each human being), it is as if we are listening to the spectral sounds and spirit of Civil War musicians braided to the melodic sense of a Sara Bareilles. One of the most distinct and intriguing facets of this six-song debut is its nuanced exploration and embrace of human duality, even darkness. Songs like “Murder Song,” “Bloody Mary,” and “Warning” touch on the shadow in the human condition in a way that emanates musically as accepting and mysteriously redemptive. For that reason—among many—this album signals the arrival of an Americana band well worth watching. You are currently browsing the Underground Nashville blog archives for November, 2013.